Wash the rice and lentils separately and soak them overnight. Grind each separately, into thick pastes (adding a little water at a time) in a blender. Set the batter aside overnight to ferment. Grease the molds on an idli tray with cooking oil. Pour enough batter into each mold to fill it three-fourths full. Pour 2 cups of water into a large pot and heat. Put the idli tray into the pot and steam for 20 minutes. 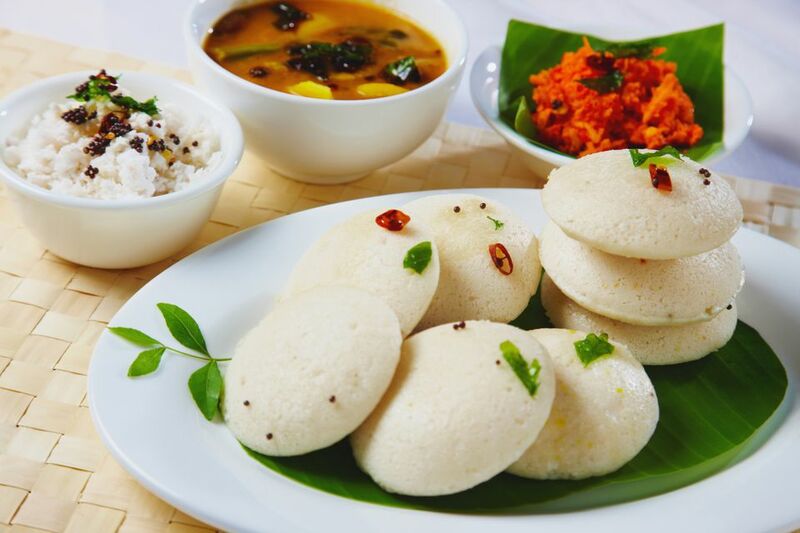 Check the idlis by poking each with a toothpick. If it comes out clean, they are done. Serve piping hot with sambar or South Indian coconut chutney.